This is a sponsored conversation written by me on behalf of Hobby Lobby. The opinions and text are all mine. As always, all opinions are my own. Click here to read my full disclosure policy. 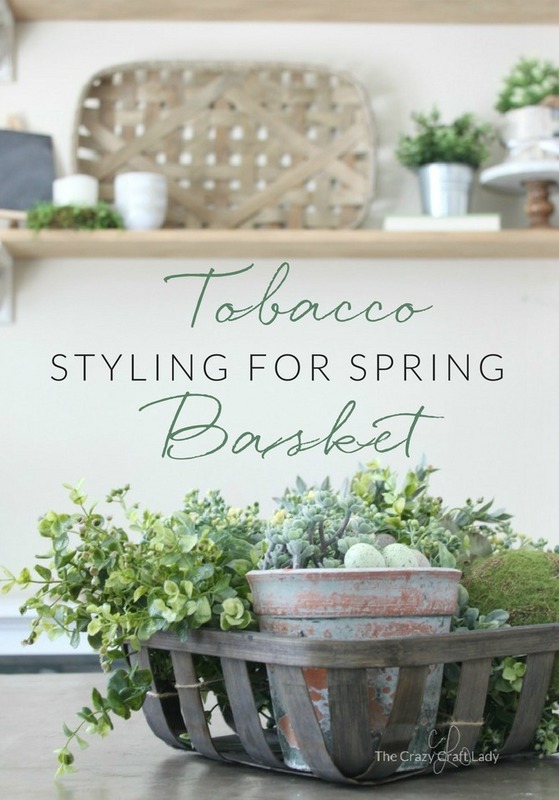 Welcome the new season and give your home decor a spring refresh with a simple tobacco basket spring centerpiece. 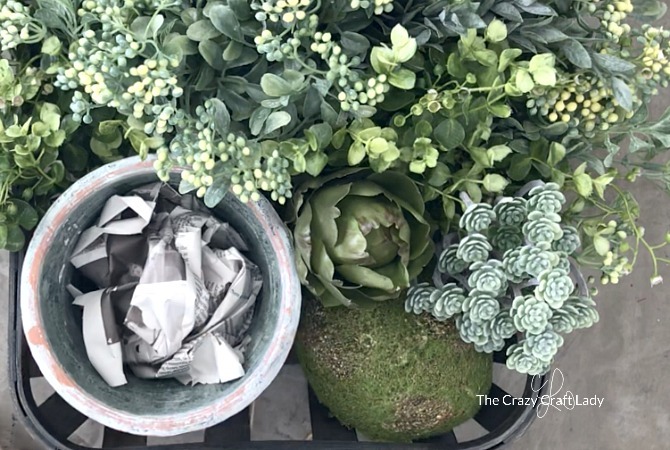 How to style a spring greenery tobacco basket. 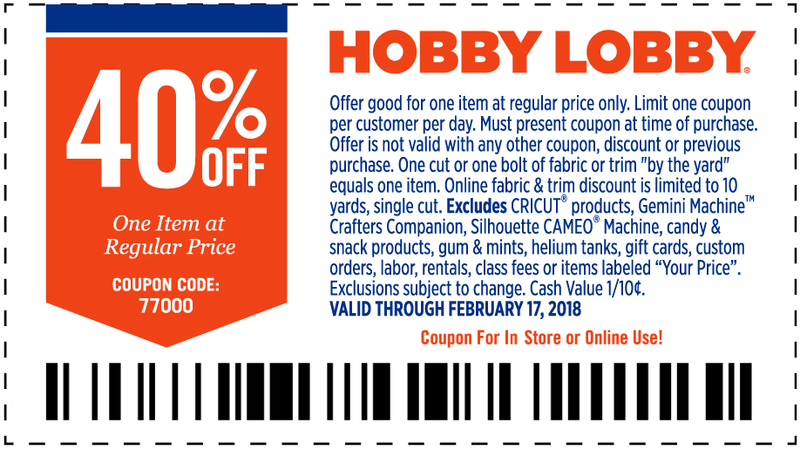 Hobby Lobby’s Spring Shop collection is in stores now and I am beyond excited about the creative possibilities! 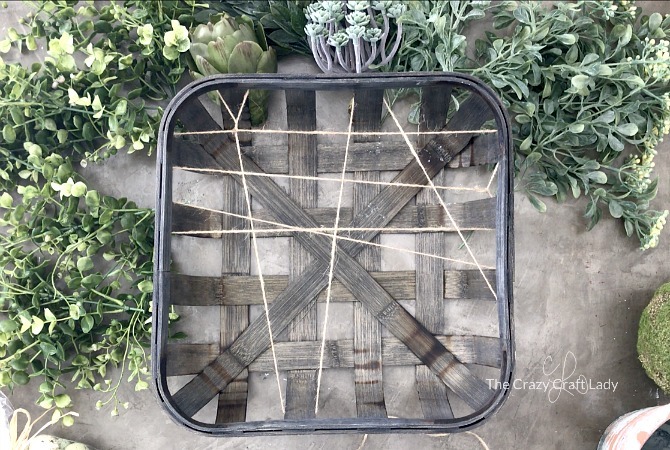 A new season calls for fresh decor, and tobacco baskets, a farmhouse home decor staple, has a new look that you’re going to love. 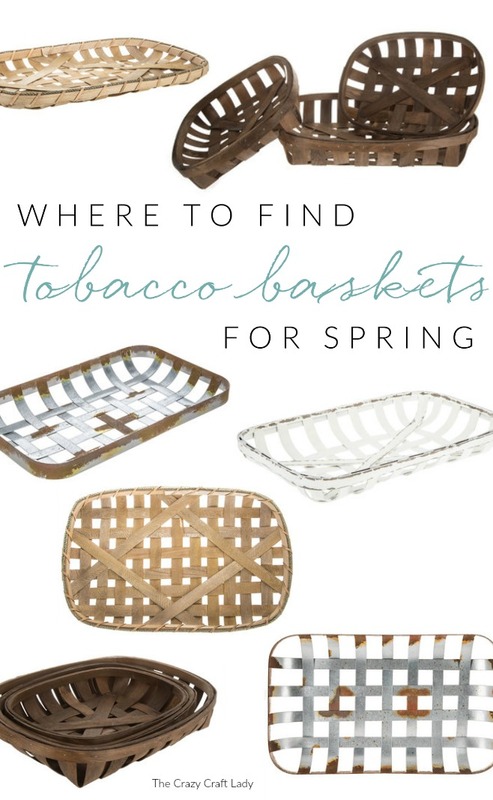 I have two tobacco baskets in my home that I love to decorate with. They are the perfect pieces to have on hand as you change up your seasonal decor, since they are so versatile. They make the perfect neutral background for gallery walls, fireplace mantels, or open shelving. 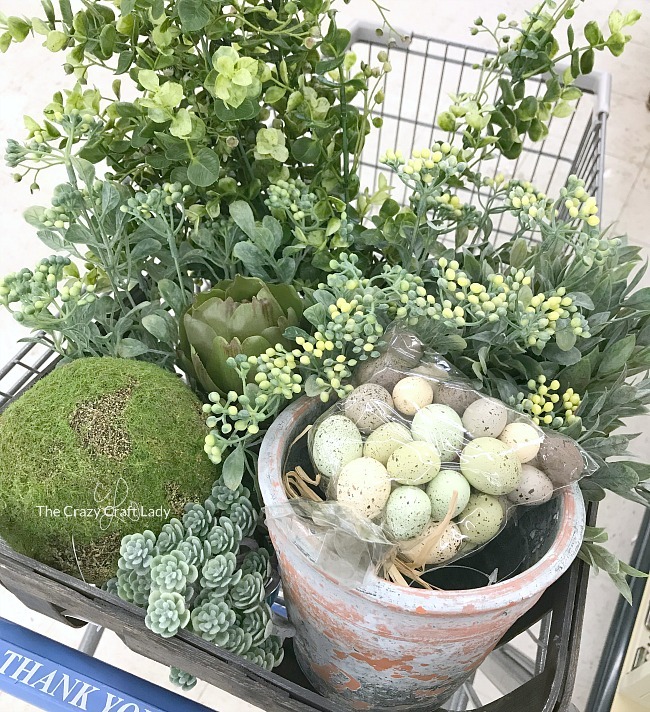 I recently spent some “me time” at Hobby Lobby, just browsing the aisles for spring inspiration. I am still swooning over their new spring line. Check out my haul! Instead of continuing to decorate my walls with tobacco baskets, I decided to do something different and make a beautiful spring centerpiece for our kitchen table. Here’s how it all came together. First, wrap the twine through the slats in the tobacco basket. Don’t do this throughout the entire basket, but just through about half. 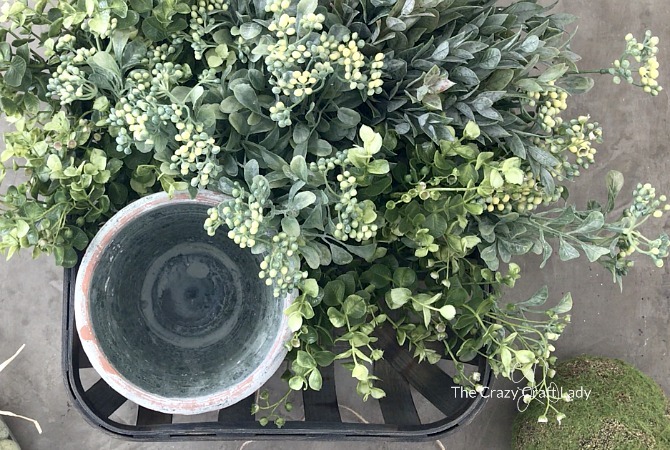 The twine will help your greenery sprigs stay in place and upright. Cut and strip the greenery. 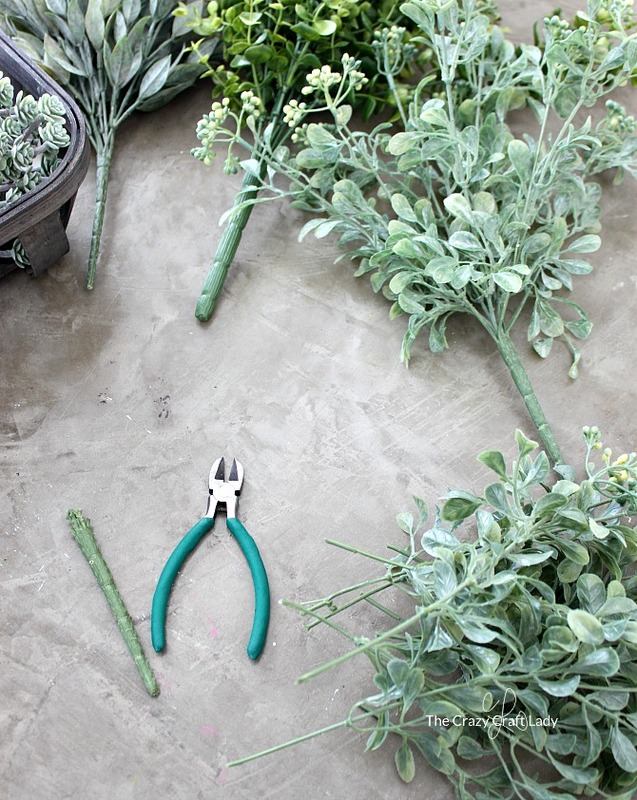 If you have linger stems, cut them down and separate the pieces. 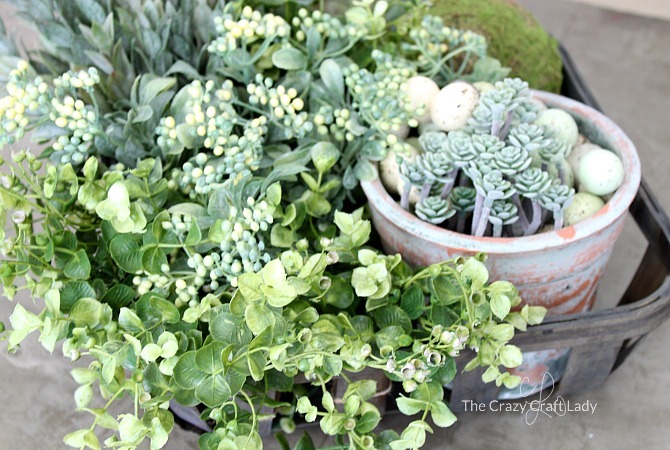 Add the the smaller greenery pieces around about 2/3 of the basket, leaving a corner for the terracotta pot. Add the terracotta pot. 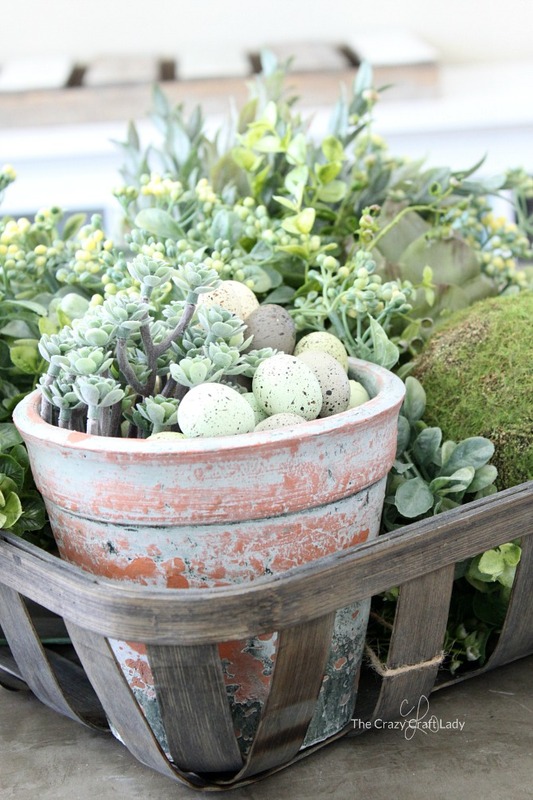 Fill it with a sheet of crumpled newspaper and top with decorative speckled eggs. 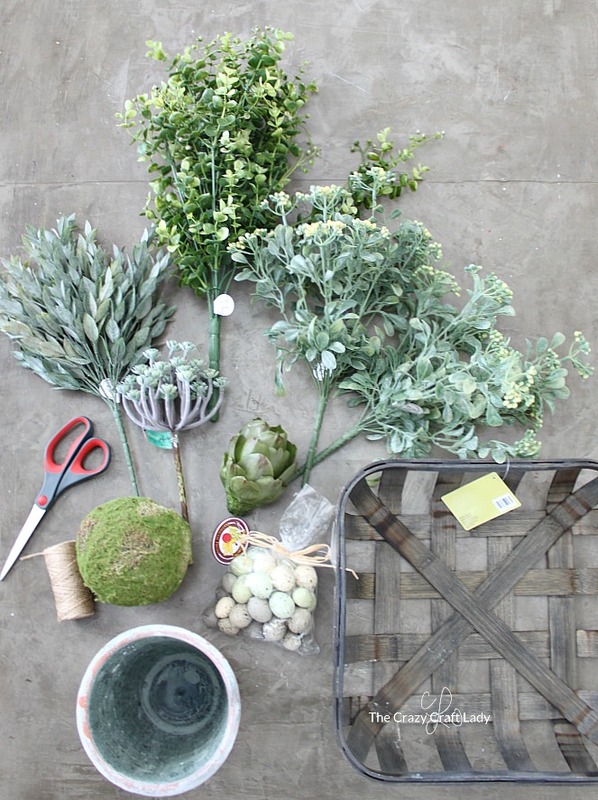 Finish styling with moss ball, faux succulent, and the artichoke. The styling possibilities are endless. 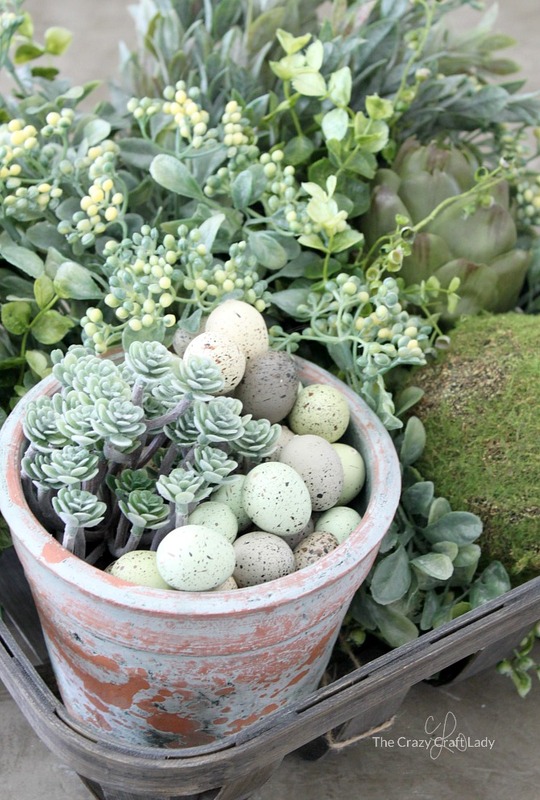 You can use any vase filler you like instead of the speckled eggs. 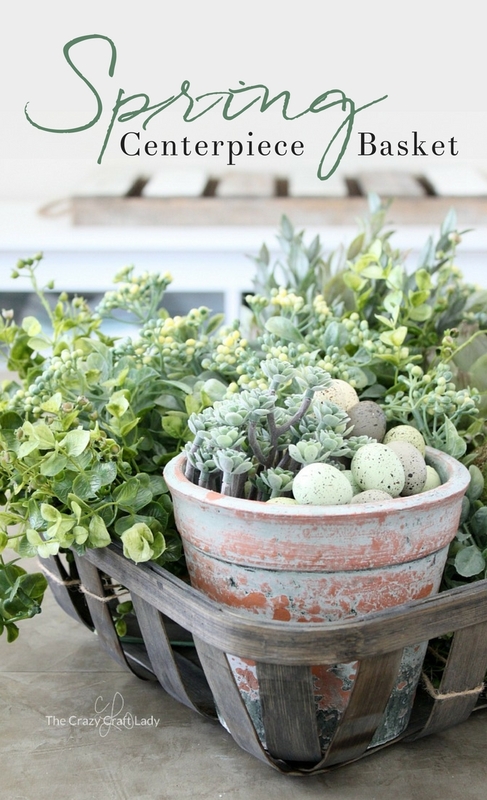 If you want a more colorful spring flower basket, and some bright tulips or daffodils to the bunch. Just be sure to use your 40% coupon!